So, is this the future? 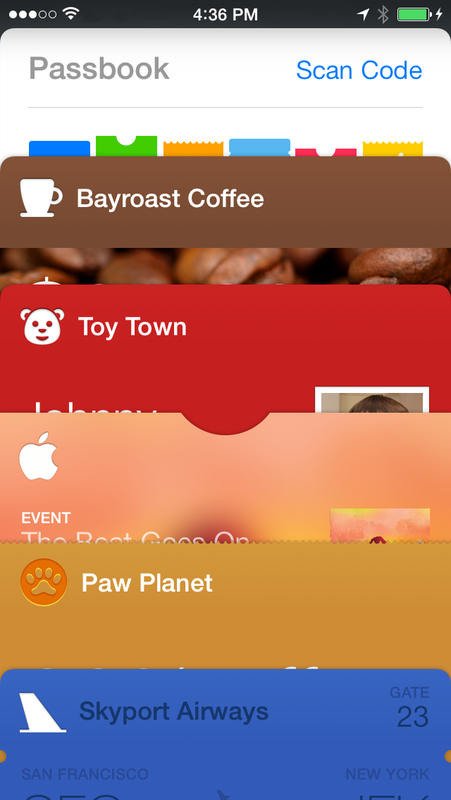 Will Apple make this card-based interface an option for other apps in iOS 8? Wouldn’t that be a handy interface for many apps? In a similar way, so far Passbook has been only available on the iPhone. Arguably, this makes sense, as you’re not going to whip out your iPad Air to board an airplane. Perhaps Apple is trying to figure out how a card view like this would work on a tablet. Presumably, you don’t want the cards to take over the whole iPad–or do you? 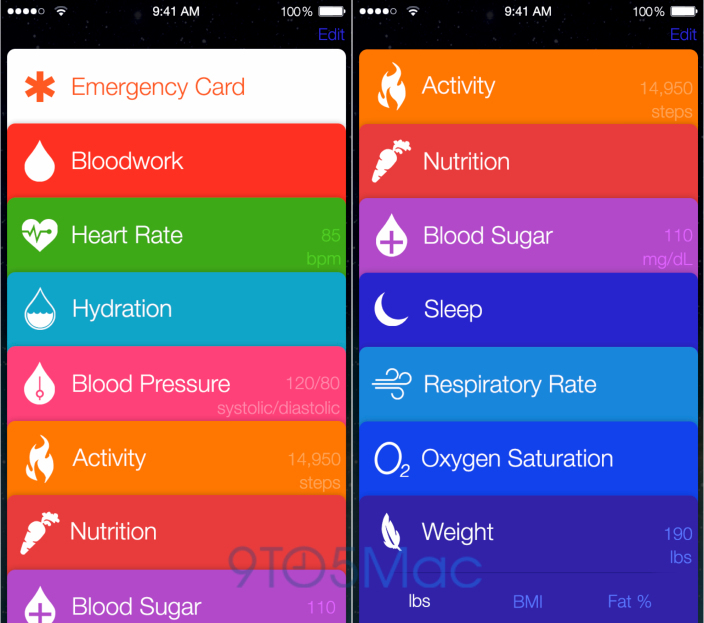 Now, with this rumored Healthbook app, there is a second app that will use this same interface. It seems like Apple is trying to make this a consistent UX paradigm. Just as iOS has “viewcontrollers” for various navigation methods (tab controller, navigation controller, paging controller, scrolling controller), perhaps they will offer app developers a new “card controller” for creating this kinds of apps. Enterprise apps, in particular, are all about reusing existing controls, rather than creating custom controls or views, which can be an expensive proposition. So, exciting as Healthbook is for users, I think an even more exciting thing would be if this becomes a new UX paradigm for iOS 8. Sure iOS 7 added a whole new look to iOS, but it didn’t add any new controls. iOS is using the same basic controls and navigation paradigms since it was released 7 years ago. Even the release of the iPad didn’t bring much in the way of new controls (other than the SplitView, popovers, and modal windows). It would be great if Apple added a few new UX paradigms so that modern phone and tablet apps could become both easier to use and far more powerful. With 64-bit computing soon to become pervasive in mobile, it’s time the UX paradigms matched the power of the hardware.